Over a month has passed since my last post. We attended the Nampa Festival of the Arts earlier in the month. I passed out a bunch of cards to people excited for Christmas and birthdays. I hope to hear from them soon! To be honest, I’m kind of burnt out from making 18″ doll clothes for now. I have a bunch of stock, my Etsy shop has a good variety of clothes, and I have a new doll! Two weeks ago I found a Disney Ariel doll at a yardsale for $3.00. Her hair is in good condition, no markings, and still has her original dress. 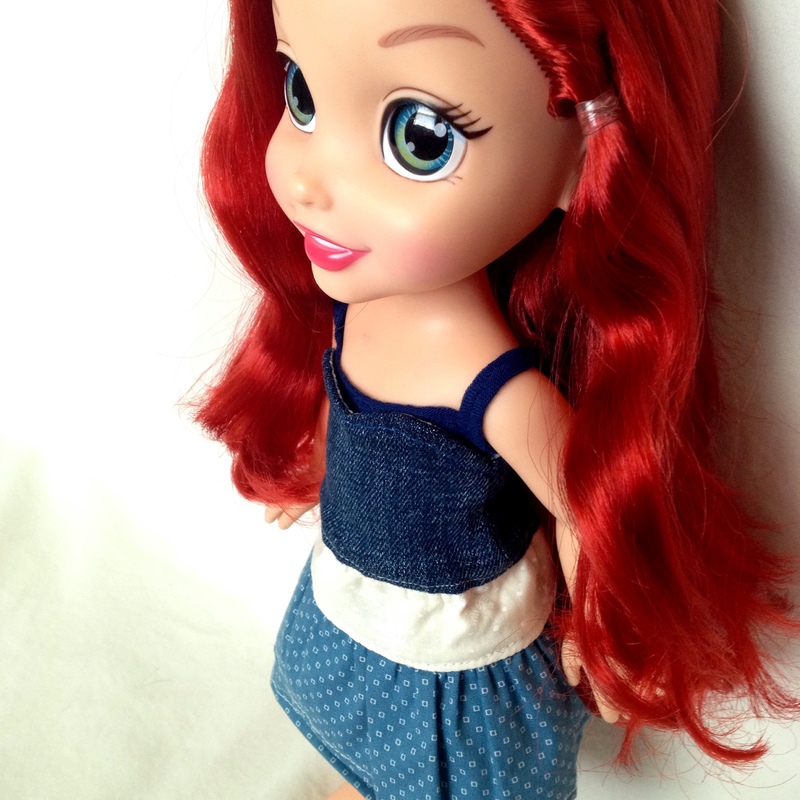 No this isn’t a Disney Animators Doll, but it’s cute! Today I made a tank top, strapless dress, and leggings. Please don’t pay attention to the Fruit of the Loom pattern… It was a successful mock up. This was my first time drafting a bottoms pattern. The leggings took me 2 tries! It was easier than I thought. My doll’s waist is 17cm and the legs are 15cm from the hip line to the ankles. Since the doll is so small, I decided to make it a 2 piece pattern rather than 4. Separate the legs and line up the ankles, sew this last seam! 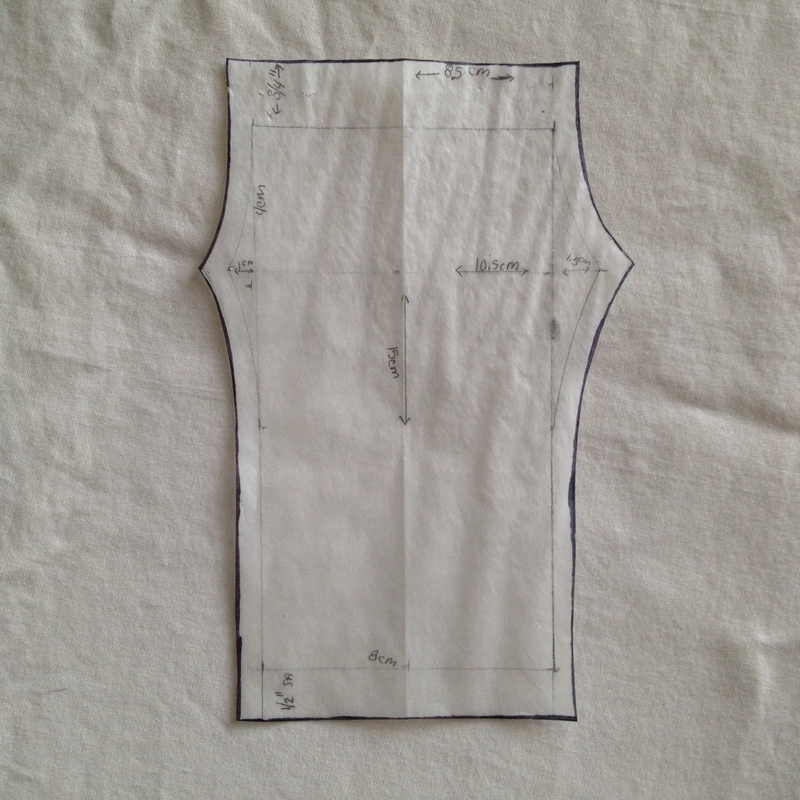 If your doll has different measurements, hopefully my pattern will guide you in making your own. Fantastic tutorial! 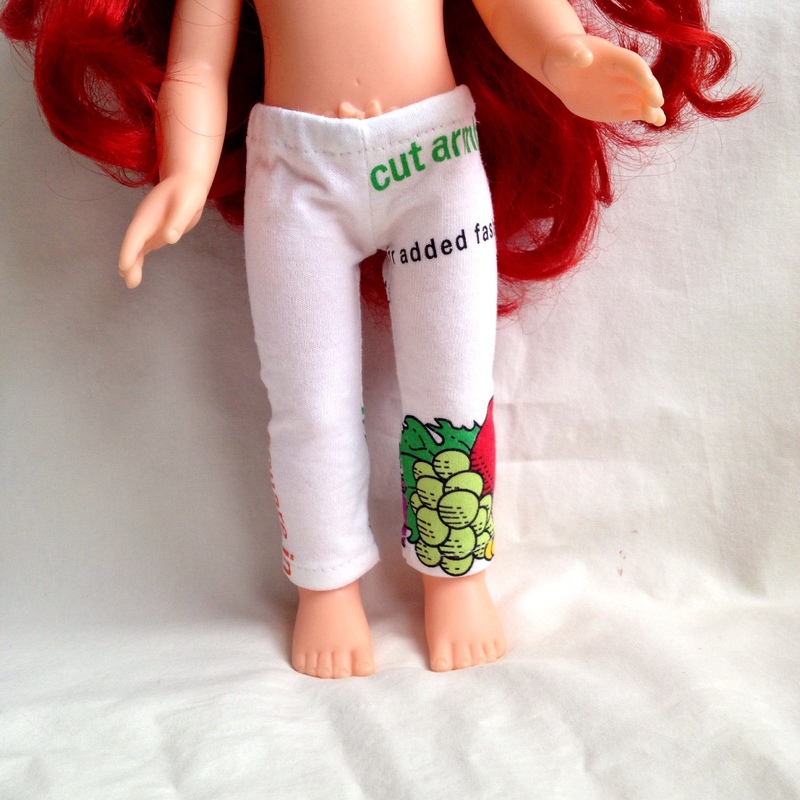 I love your new doll and personally I think the fruit of the loom pattern is kinda fun the way it turned out!